CEO Joacim Lindoff speaks to Privata Affärer on past, present and future of Arjo. On the 12th of December we rang the bell of the Swedish Stock Exchange after launching as a standalone medical device company, having been a part of Getinge group since 1995. "We have had a good dialogue with investors who recognise our previous challenges but see the opportunities in the longer term - that we are investing in a stable market with good growth potential. “The separation from Getinge gives Arjo the opportunity to focus and invest in long-term care and new markets. We have had a decline in organic sales of about 2.5 percent per year in recent years. Much of it relates to the rental business and the product area Deep-Vein-Thrombosis in the United States as well as a challenging market in the UK - with low investments from the NHS (National Health Service). But we are now working according to our plan that will turn that trend. We will invest in more sales capacity in the US and last year, in the third quarter, was the first quarter with positive development for our rental business in the US after years of decline". "We have the ambition to take a bigger grasp of digitalisation as it is an important player in future of healthcare. Today, it is about connecting products and solutions. We have, for example, recently signed a partnership with Sony Mobile around a solution that allows the customer to locate a lift or other critical equipment missing within a facility. This saves time and valuable resources". 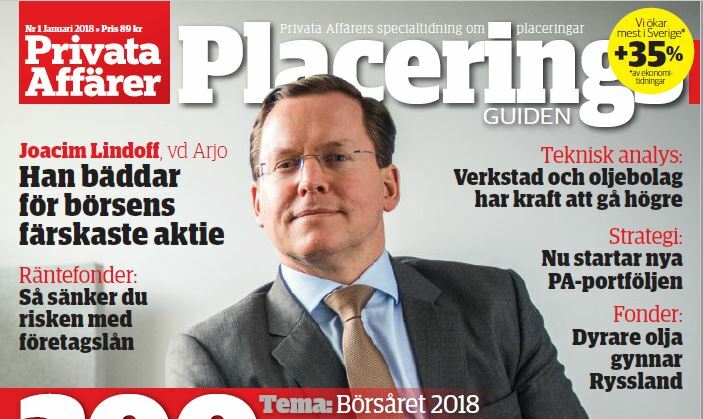 The article concludes with a comment on the future of Arjo and how CEO Joacim Lindoff sees great possibilities to get back to growth with strengthened focus on Long-term care and expansion to new markets.